The message offers solace to those who lost loved ones, concluding that “those who mourn their loss find comfort in the conviction that they did not die in vain …”. 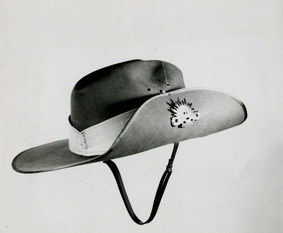 Did you know that prior to the commemoration of Anzac Day in Queensland state schools from 1916, patriotic sentiment about King and country was honoured on special days such as Empire Day? This photograph is of Major Sir T.B. 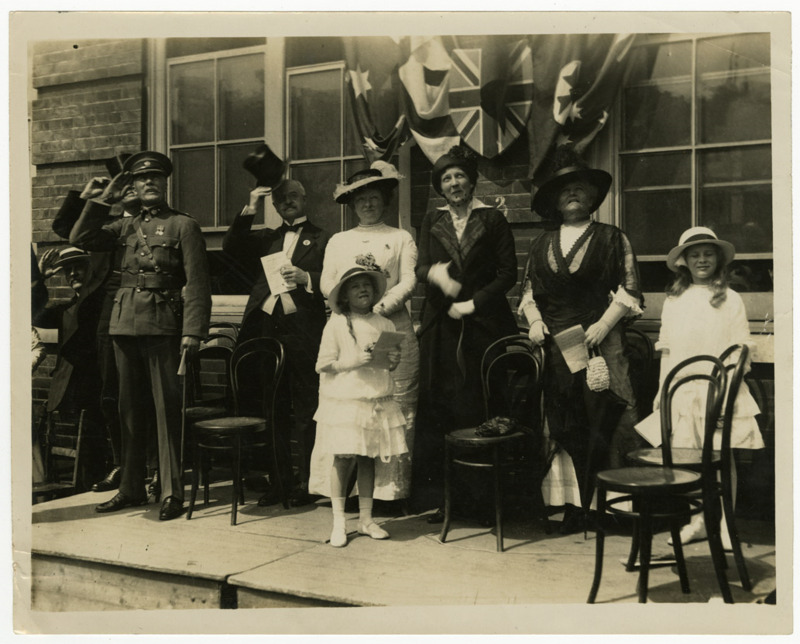 Robinson, Agent General of Queensland, Lady Robinson and other dignitaries who attended the 1914 Empire Day commemorations at the Addison Gardens School. More than a century after Anzac Day services began, this annual remembrance of First World War sacrifice continues to grow in importance to many Australians. 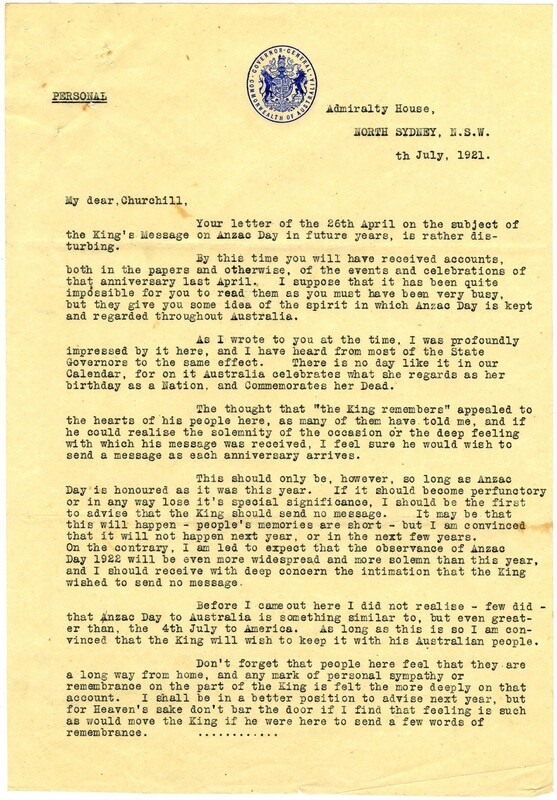 Found in official correspondence received by the Governor of Queensland in 1921, the letter reproduced below shows that Anzac Day quickly gained significance to the community as it marked the ‘birth of the nation’. The letter was written by the Governor-General of Australia, Lord Forster to the British Minister of War and Air and Colonial Secretary, Winston Churchill. 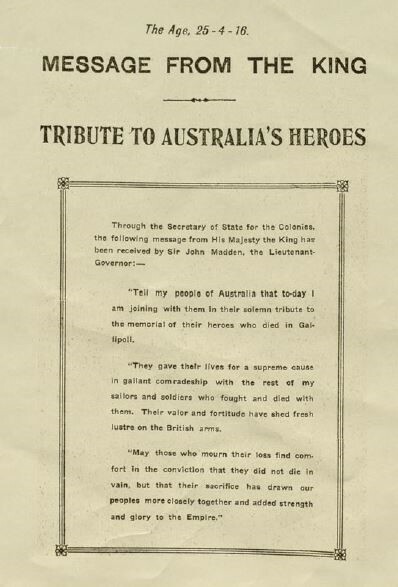 Lord Forster wrote: “I was profoundly impressed by it [Anzac Day] here…there is no day like it in our Calendar, for on it Australia celebrates what she regards as her birthday as a Nation and Commemorates her Dead”. To read the letter that prompted Lord Forster to write to Mr Churchill, visit us and view top number letter 224 of 1921 in the official correspondence of the Government of Queensland, Item ID 858602. 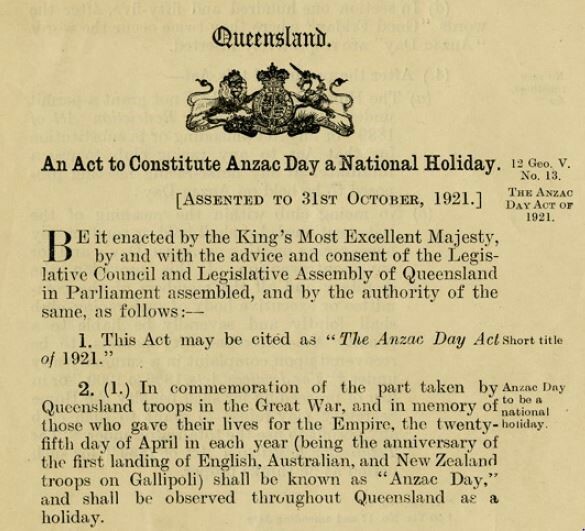 A final word: on 31 October 1921, an Act to constitute Anzac Day as a national holiday, known by the short title The Anzac Day Act of 1921, was assented to. This enshrined observance of the sacrifice made by Queensland troops in the Great War into the lives of Queenslanders. See the full Act here.